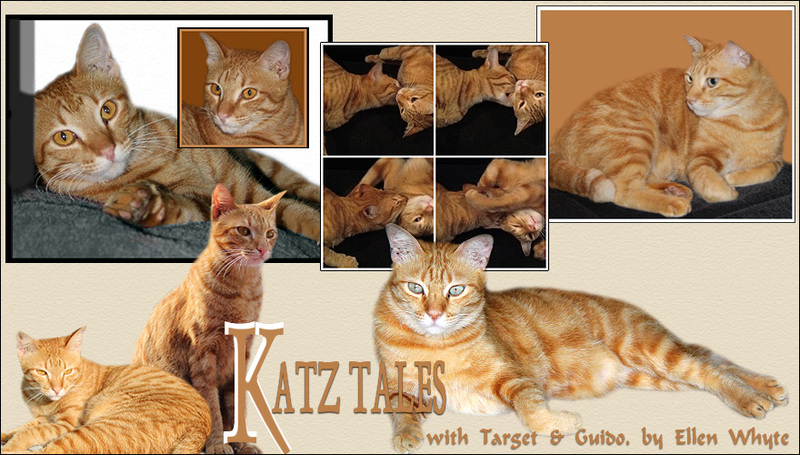 Katz And Other Tales: Is It Moving? I was stroking Mr Brown last night when I noticed his tummy was full of black specks. Paranoid, I hauled him up under the reading lamp, and stroked anxiously through his fur. Surely it couldn't be fleas? My clean Scoop? And just 2 days after a bath? Nothing moved in his coat, so I conceded it's possible he's just been rolling through the earth at the bottom of the garden again. But to be sure I checked Au as well. He was furious at being turned over and being prodded in the paw pits, but realising I'm bigger than him he let me have a look. Again, lots of black specks but no movement. It's probably nothing but I'm taking no chances. I've just bought some heavy-duty flea shampoo and they're both in for another bath. This is turning out to be one hell of a week! Absent or On The Run?